1. In a large pitcher, combine sugar, mint leaves, and lime juice. Muddle the mint leaves with the end of a wooden spatula. 2. 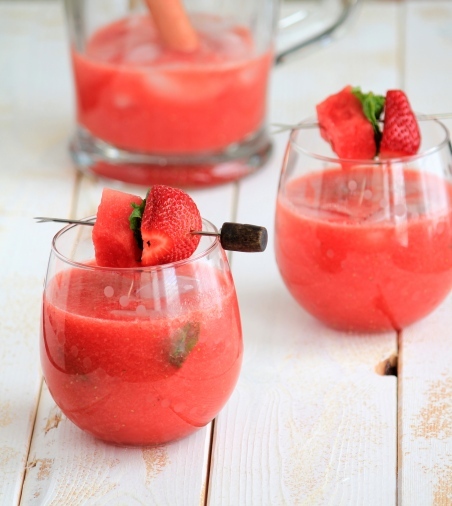 Fill the blender with watermelon and then add strawberries. Blend until smooth and combined. 3. Pour watermelon mixture into the pitcher. Add rum and stir well until combined. Serve in chilled glasses and enjoy!